Hugh Barton Ellwood was born in the north of England and has devoted his life to architecture and the arts. He studied philosophy in Rome, followed by a degree in architecture at the university of Manchester. After graduation, he became a member of the Royal Institute of British Architects. For 31 years he pursued a career as an architect with Building Design Partnership, the largest multi-discipline design organisation in the UK. For 21 years he was a partner in the practice, based mainly in the Preston office. During this period he worked on many projects, including private housing, schools and hospitals such as the Queens Medical Centre in Nottingham and the New General Infirmary at Leeds. He also worked in Rome and Berlin. For some years he was an external examiner in architecture at the University of Manchester and for several years was a visiting lecturer in the history of art and architecture at the University of Central Lancashire. He has also lectured extensively to various societies and organisations, including cruises, on art and architecture. He illustrates his lectures with photographs and sketches executed during his numerous travels. The travelling serves as a means of research for his sketching and lectures. 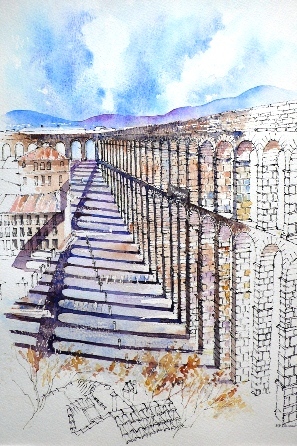 During the 1980s he began to sketch with watercolour as a complement to the pursuit of architecture. 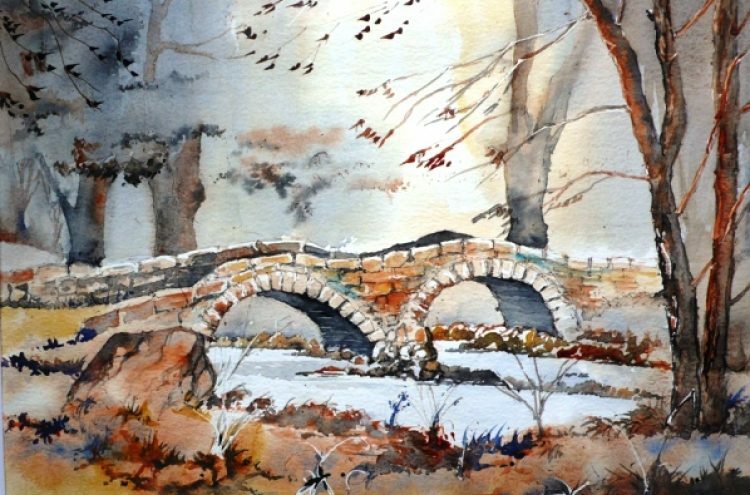 He prefers to work in watercolour, ink, pencil and pastel. His subjects are mainly buildings, the landscape and the relationship between the two. He prefers to work outdoors, rather than in the studio. However, if this is not possible, then he will produce finished work from sketches. He has taken part in the television programme ‘Watercolour Challenge’ and has won prizes in painting competitions in Switzerland and Italy. He has exhibited in the UK and in Switzerland and his work is found in private collections both in Europe and the Far East.